I am pleased to partner with ViSSEVASSE, a fab poster art maker from Denmark, for an exclusive giveaway! One of you will get a chance to win a 200 euro gift card from ViSSEVASSE – Considering that their prints are priced between 5 and 79 euro, you’ll be able to treat yourself to a nice new collection of poster art. Awesome, right!? All you have to do is browse their collection and to share in a comment below this post what your favourite print(s) is(are). ViSSEVASSE ships worldwide, so anybody can take part. You have until the 19th of October to participate. Known for their retro style, soft colours and simple lines, their prints are all inspired by distinctive local and global landmarks. Think Stockholm’s Vasabro bridge, Copenhagen’s skyline, Norway’s fjords, Tivoli’s Ferris Wheel, Aarhus’s town hall bell tower, Ribe’s cathedral and storks, and many more. They also stock the hugely popular prints by Vee Speers. After the warm and sunny season, as we spend more and more time inside the house, it is nice to update our interior a little. 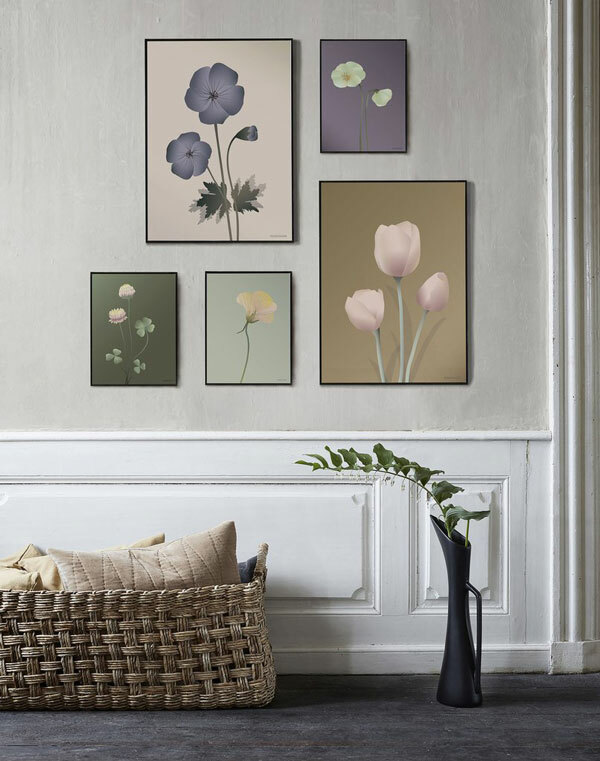 An easy way to do so is by simply adding new artwork on your walls – Why not finally try creating a gallery wall or add that finishing touch to a room? So, tell us: Which print(s) would make you happy? Here are a few options you could pick from. ViSSEVASSE is a Danish paper and design studio founded in 2013. We are probably best known for our posters, but our passion for paper has led us to begin to design special-occasion cards, notepads and other stationery items. ViSSEVASSE was founded and is run by Dorthe Mathiesen and Karsten Noel Poulsen, who have 20 years’ experience from graphic design, fashion and stage design. The ViSSEVASSE family has grown since the early days, and over the past year, we have added five full-time employees to our staff. I remember looking through the Vissevasse offerings when you wrote about them the last time. They’re all so gorgeous! My favorites are the two skiing posters (SKIING and READY, STEADY, GO) and the cherry blossoms. I am so excited for this! I saw them in person last year in Copenhagen before you wrote about them. I really wanted one but the queue was too long and I had to rush to check in the airport. My favorites are Denmark Cliff, Amager Sneglen, Norway Fjords and ABC in Cream. I like Pickled cucumbers poster. Among all their beauties, I particularly enjoyed three of them: Sakura (I adore cherry blossoms! ), The Girl in the Window and Evening Dip. Love the color pallette used by the posters. 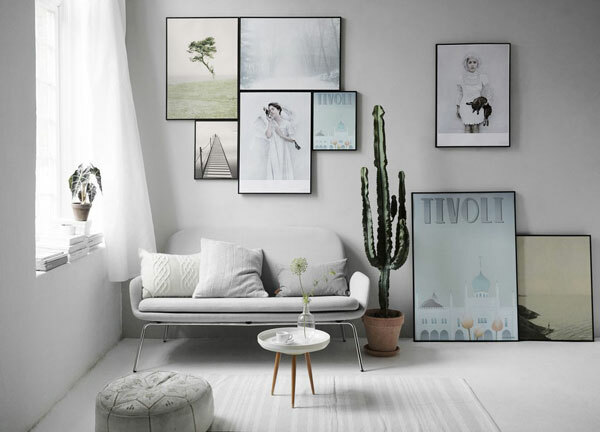 I would love to see the posters hanging on my empty white wall..
Beatiful, I like the white tulips and Amsterdam. Skagen and Racing Bicycle. because I spend the most wonderful time of my childhood in Skagen and I ride my racing bike 6000kkm per year. And next year I will ride it to Skagen. So the perfect mix. I love all the place posters, especially Amsterdam but the Germanium and Poppy’s are really beautiful. Oh, so nice!!! Thanks for this opportunity! I love the following posters: Amsterdam Canal Houses, Hillerod Castle, Denmark Light House, Odense Duckling and Bergen Bryggen. Balloon dream, racing bicycle, vespa, vw beetle, beach hut coastline. I have special place in my heart for Scandinavia, and those pictures make me feel so calm and nostagic. They are like old postcards, found in secondhand suitcase from flea market. Each one tells its own story. Especially Fairyland, which reminds me of an old forest print I found behind my kitchen cabinet. Very simillar trees, but mine are in the wintertime. My favorite one is the poppy noir poster. These posters are just to gorgeous! It reminds me of my travels. I just love the balloon dream. Who doesn’t dream to travel the world sitting on a swing with some balloons?? I love BORNHOLM Smokehouse….because I miss this wonderful island, I retrace sea to the end of the summer to go there again and immerse myself in this dream space. Stunning! If I had the ABC rosa poster on my wall I would be so happy overtime I saw it because it would remind me of home (because of the æøå)! 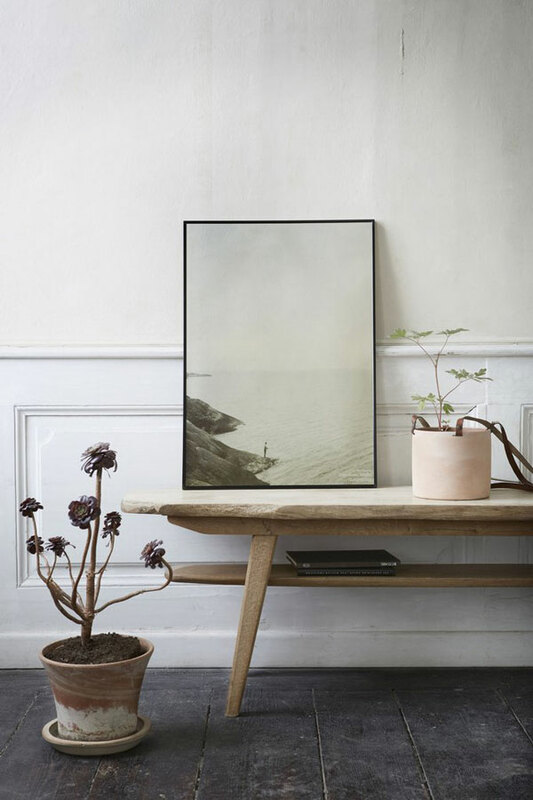 I love these posters, right now my favorite is COPENHAGEN Christianshavn – poster! I like the bauhaus prints as well as the Evening dip. I’d also encourage them to add Helsinki – theme on their poster collection. ? As a Dane living abroad, I love the Tivoli poster! It brings back fond childhood memories and reminds me about the fairy tale country in which I am born. I love the Norway posters, particularly the Fisherman’s cottage and the Bergen Bryggen. Really love all of the Norway inspired posters….I may be a little biased living here and all :) I particularly like the Atlantic road and Pulpit rock posters. Also really enjoy the Denmark Cliff poster…ugh they are all so beautiful, its hard to choose! I really like the posters that involve Danish landscapes and cities. Been browsing through them in a shop but came out with none. Simply couldn’t choose! This would be the best opportunity ever for me to make a selection (big!) of my favourite holiday destination. This one is great: BOTANICA Celosia Cristata! Would love to see it in my flat! I really like the ethereal quality of the Dan Isaac Wallin posters, especially AMUNDÖN III & TJURPANNAN. Thank you for giveaway! I love “The swimmer” poster. Wow they are all amazing :) I really like the BALOON DREAM. So many beautiful posters! I really like “Odense – Duckling” and ” Havang” from Daan Isaac Walin. My favourite is a BEACH HUT COASTLINE poster. I love it, becouse I’ve been living in Lisbon for half year, and there is a beach near to the city what is look like this picture- with colourful houses. I feel the smell of the ocean when I look at this poster:). Pansy forest, prachtige eenvoud ?? Ooohhh… my… this is so difficult!!!!! Love ?? all of them!!! But if I have to pick one it has to be the London eye…. brings me really beautiful memories back! I really like all the Botanica posters from Wee Speers and Peregrination from Dan Isaac Wallin, they are so special. I’m sorry, I couldn’t decide for one. They are all so beautiful, so interesting. If I were to win, I would choose Kenya Girl, or Vegetables, or Paris Metro, or Waffle. Love them all! I’m a pastry lover, I love Paris as a city and its spirit, and I love to read about the history of Africa. So these posters are juat perfect to me. ? You really can’T Go wronG, BuT my faves are Monk Cress purple, Edible Flowers, & ABCs. Beautiful. I like really the girls with baloons. Poppy meringue and Baloon dream! Hard to choose only one, but my favorite is BELLEVUE Lifeguard Tower. Impossible to choose one so as it is the chance that I would win…THE BIRTHDAY PARTY untitled #16 (The girl blowing the bubble)! Mesmerizing! So grateful for being selected as the winner! I’ll be sure to share what I selected when it arrives and tag/email nordic.